Brazilian Jiu-Jitsu is a unique grappling based martial art that allows practitioners to practice against fully resisting opponents in a safe manner. It addresses all ranges of combat from standing, clinching, take-downs, securing a superior position and applying a submission hold. Jiu-Jitsu as a form of self defense over other martial arts such as Taekwondo, Karate, Kung Fu and others has been the work of the previous generation of Jiu-Jitsu practitioners. During the 70’s, 80’s and 90’s, the sons of Jiu-Jitsu pioneer Helio Gracie moved to the United States with the mission of demonstrating the effectiveness of the art in limited rules settings. In the 80’s an early 90’s their efforts produced a series of videos called Gracie In Action which pitted Jiu-Jitsu against other martial arts forms. It was beginning of a revolution within the martial arts community which had been inspired by decades of romanticized martial arts movies. Rorion Graice took the efforts of Gracie In Action tapes and evolved its concept to be shown on a larger platform. He envisioned a live event where martial arts of all styles would compete in front of the world. His concept lead to the creation of a organization called the Ultimate Fighting Championship (UFC) where his brother Royce convinced the entire world of Jiu-Jitsu’s effectiveness. An unintended side effect of the event was the creation of the sport of Mixed Martial Arts (MMA) which is thriving today. Currently, nearly all of MMA athletes cross train in Brazilian Jiu-Jitsu. Despite its effectiveness in realistic combat situation, Brazilian Jiu-Jitsu advocates for minimal punches and kicks in self defense settings. This asset makes our martial art an ideal choice for children as it teaches the student to control the situation through grappling without the need for strikes. Many other martial arts prescribe that their art brings confidence, community, respect and discipline but are not rooted in realistic self defense skills. Any activity in which a child is skilled will bring about positive changes. Breaking boards and kicking the air is cool looking, but boards don’t hit back. The alternative to this lack of realism is to have children sparring with full force which includes strikes to the head. Since this road is far less traveled for children, it leads to these martial arts to developing a mystic aura when it pertains to applicable self defense skills. 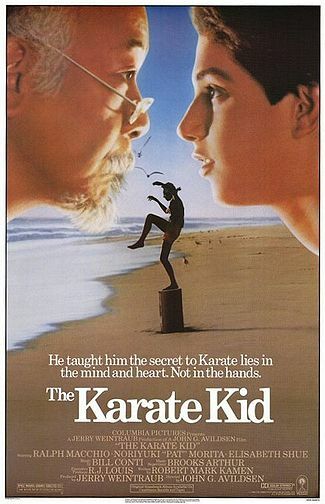 Nothing is mystical about martial arts. Its one of the most honest forms of expression and something that appeals to Jiu-Jitsu practitioners of all ages. Something either works, or it doesn’t. The truth is found and tested every day on the mat. The sportive aspect of Brazilian Jiu-Jitsu, much like the sport of wrestling and the sport of Muai Thai, translates very well to the self defense medium while providing a way for practitioners to test their skills. Since self defense skills are only needed a small amount of times in ones life – if ever – this outlet is important and provides a venue that gives children something to work towards. Brea Jiu-Jitsu’s Kids and Juniors program is designed for the young practitioner to excel at the gentle art. Our goal is to not only give the students the skills required to be proficient in the art, but to establish a mindset where excellence is expected. We wish to create an environment which fosters a love of Jiu Jitsu and students always are challenging their limits. Our classes have a strong emphasis on bringing the student to competitive readiness which serves the dual purpose of being able to function against highly skilled opponents and allows for a reasonable expectation of success in a self defense context. Our classes are friendly to the raw beginner, while providing stimulation for more experienced practitioners. Most of our competition team members also participate in the Kid’s Program which consists of a conditioning session, technique drills, sparring and a game. A reasonable ability for the defend themselves if needed by using a take-down and grappling control to safely and humanely bring an end to a conflict. An increase in fitness to bring weight to healthy levels. Students be able to represent themselves well in elite levels of competitive Jiu-Jitsu should the student decide to compete. Introduction to a sub culture, friends and universe which goes as deep as the student desires. All classes, except in rare cases of absence, are taught by our head instructor and owner and we feature multiple class offerings every day of the week. A former elementary school music teacher, coach Dan’s approach is well centered with the needs and challenges of teaching elementary school and Jr. High aged students. 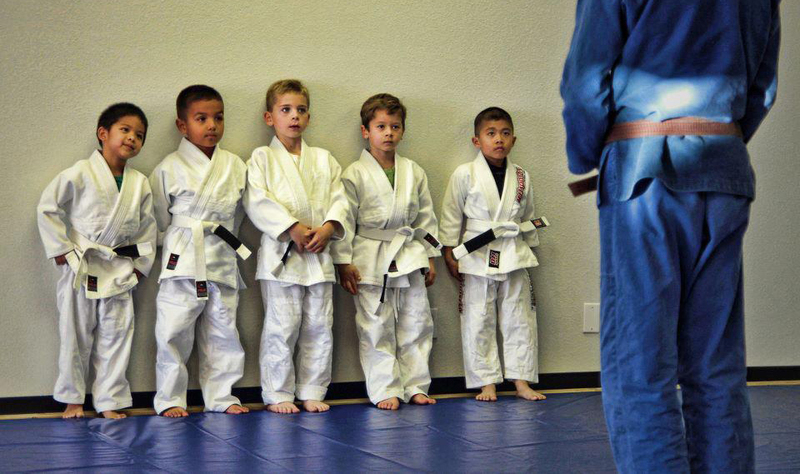 Brea Jiu-Jitsu’s Juniors Program is designed to familiarize the 4-7 year old with the philosophies behind Jiu-Jitsu and make the student comfortable with grappling. Very little emphasis is placed on the fine details of techniques and instruction centers around a conceptual based approach. Each concept is presented in a playful manner where the student learns Brazilian Jiu-Jitsu even though they are not aware they are doing so. A typical class includes a light exercise session, a Jiu-Jitsu concept and a game. Participation in both classes per week is highly recommended for enrolled students. Our kids competition team is an invitation only class designed to give the competitive student the extra sparring and techniques they need to prepare for competition. The biggest prerequisite is desire rather than skill or experience level. This class is designed to be used in tandem with the kids classes and can often serve as a bridge for young adults to start to transition into the adult program. Many of the students in this class have been training with our kids class since our opening and set the standard for attitude and excellence. Simply use our contact form to the right to set up a free trial class and we will give you everything you need. See you on the mats!